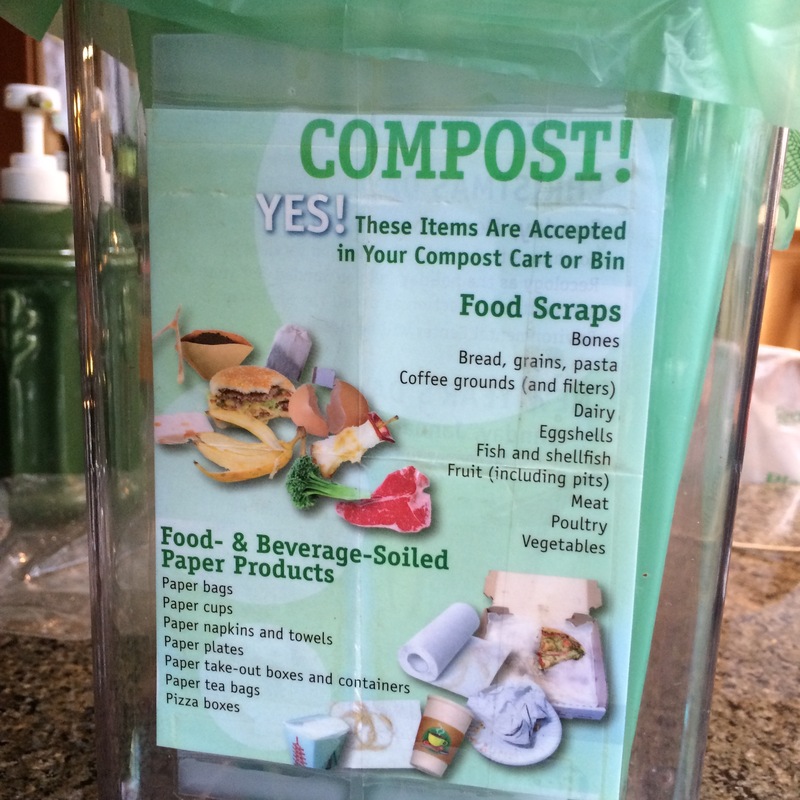 If you’re fortunate enough to live in an environmentally aware community, you may be given the option to separate your plant- and animal-based (bio)waste for separate recycling/composting. I have designated “garden compost” and “street compost” containers. 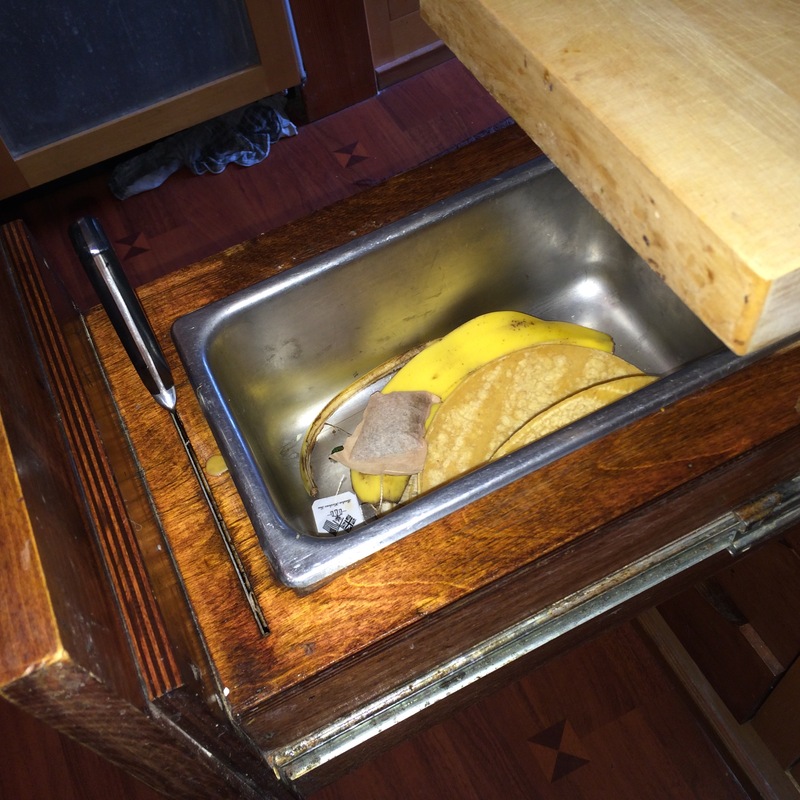 In our renovation 17 years ago had a drawer custom made for garden compost into which goes vegetable matter: waste fruit & veggies, tea bags, floor dirt, old pillow feathers, lawnmower clippings and shredded paper, to name a few. That is now goes daily to my “garden compost”. Great for the plants and I don’t have to pay for it. 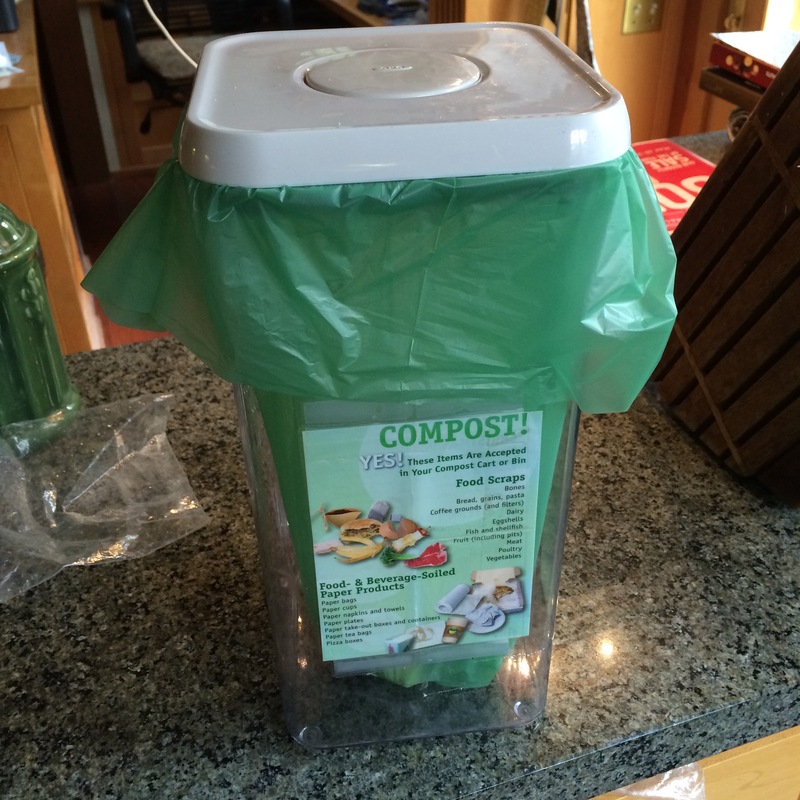 About 5 years ago local residents were given special covered buckets and encouraged to fill them with all food scraps (I keep the veggie matter for my “garden compost” but put the meat, bones, seafood and food-infused paper products for “street compost”. I soon replaced the bucket with a commercially available container that seals out bugs and smells. We line the container with bio-compostable bags and place the full bags in a designated streeetside rolling bin, along with our garden clippings, that then go to the municipal composting facility that is able to speed-compost with high heat. Sprinkle baking soda if it starts to smell. Deter flies with citrus, lavender, eucalyptus or lemongrass oils by placing a few drops on a cloth and leaving it inside or on top of the pail. 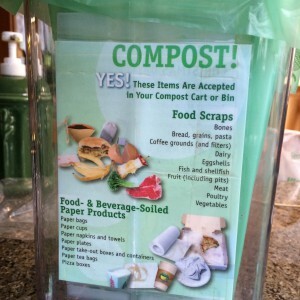 If your community needs to come up to speed in the composting arena, contact your local elected officials and ask them adress “compostables waste management” in the next waste management contract cycle. Refer them to Recology or other waste management companies with a good track record on how to implement a successful program.